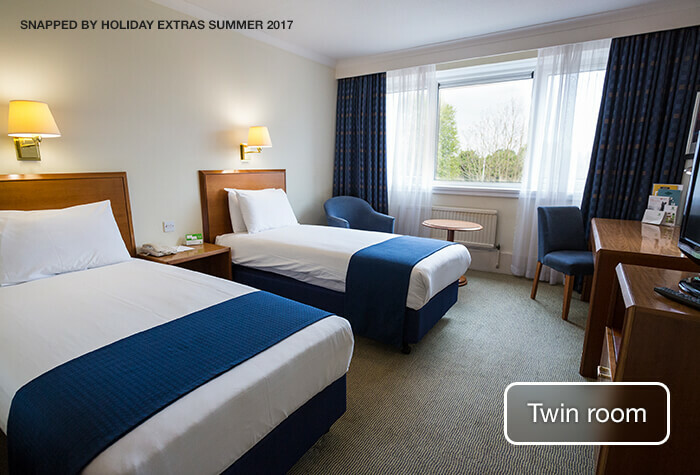 When it comes to choosing a Gatwick hotel, the Holiday Inn, London Gatwick Airport, has always been a firm favourite for families. 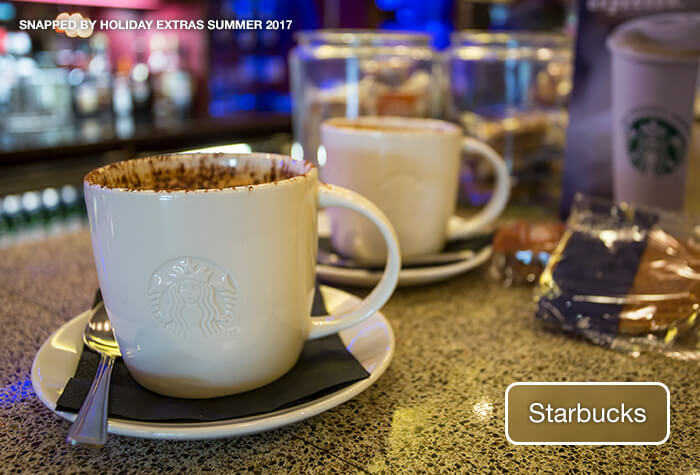 It's only minutes away from the North terminal and has oodles of four-bed rooms, a kids-eat-free menu and a caring team of staff. The open-plan areas have a laid-back vibe with plenty of seating for you to enjoy a relaxing drink or a bite to eat. There's no chance of the little ones getting bored here, with TVs, games, activity packs and a free two-course meal for up to two children under 13. 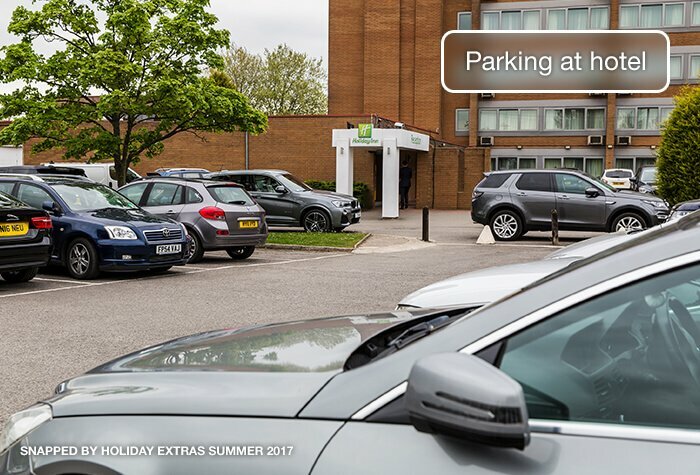 While the Holiday Inn is loved by families, it's also a hit with those who like the simplicity of leaving their car at the hotel during their holiday. There's loads of spaces and the car park's secured, so the start of your holiday can go without a hitch. Hotel was up to the standards of the Holiday Inn and exactly what you would expect . Really helpful staff . Just one night at the Holiday Inn before flying to Barbados, good hotel, free shuttle, all went well and well pleased. Our customers rated Holiday Inn on average 9/10 (3439 reviews). Read Holiday Inn reviews. Traders restaurant and the Hub bar have an informal setting, so although there's no need to don a fancy frock at dinner, this doesn't mean the food isnt elegant and refined. Juicy, flavoursome steaks, deep-filled pies, classic fish and chips as well as a range of sandwiches and wraps are all on offer. Food is reasonably priced and made using locally sourced produce. 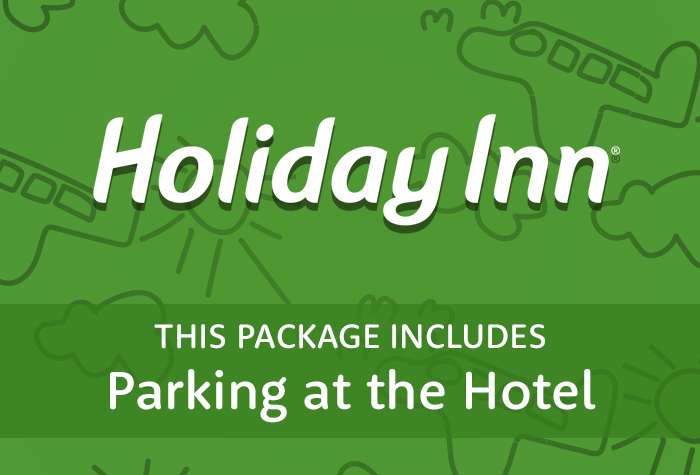 The Holiday Inn is a family-friendly hotel thats perfect for avoiding airport stress. You might even have some fun while youre there! Families -With large rooms, fun activity packs and a kids-eat-free menu make the Holiday Inn a firm family favourite. Comfort - Airy, soundproofed rooms with comfortable beds make for a relaxing stay for you and your family. Food - The hotels "Traders" restaurant offers expertly cooked but pleasingly familiar comfort food. The hotel is a 5-10 minute bus ride to both terminals. The shuttle bus runs every 10-15 minutes between 5am and midnight and every 30 minutes between midnight and 5am. It costs £3 per adult, £1.50 per child and under 5s go free. This package includes parking for the duration of your trip. Drive to the Holiday Inns car park - its right next door to the hotel. Park in the car park at the back of the hotel and head inside to hand over your keys. You will need to fill in a form and your car will be moved by a member of the team the next day. To get to the airport in the morning you can use the hotel shuttle bus for £3 per person. On your return you'll need to get the shuttle bus back to the hotel to pick up your car. The Holiday Inn is a 5-10 minute bus ride from the terminal, its just outside the airport perimeter. Full driving instructions and a postcode for satnavs will be on your booking confirmation email. Check-in is from 2pm and you'll need to check out by 12 noon. Standard rooms are large and well-equipped and family rooms have plenty of space. You'll get free wifi, blackout curtains and a choice of pillows. Wifi's not the fastest, especially in peak times, but it is free. Unfortunately the bathrooms do not have walk-in showers. If you require assistance from a carer, the hotel can provide them with a room at no extra cost. 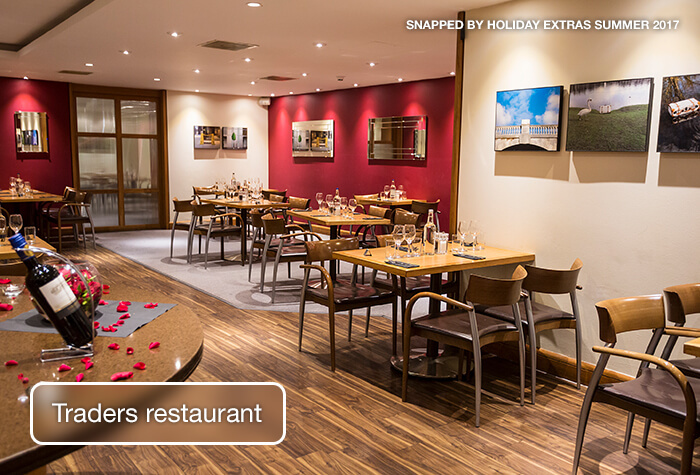 Traders restaurant - serves a range of traditional British dishes like fish and chips and bangers and mash. Two under 12s can eat for free from the kids menu with each paying adult. 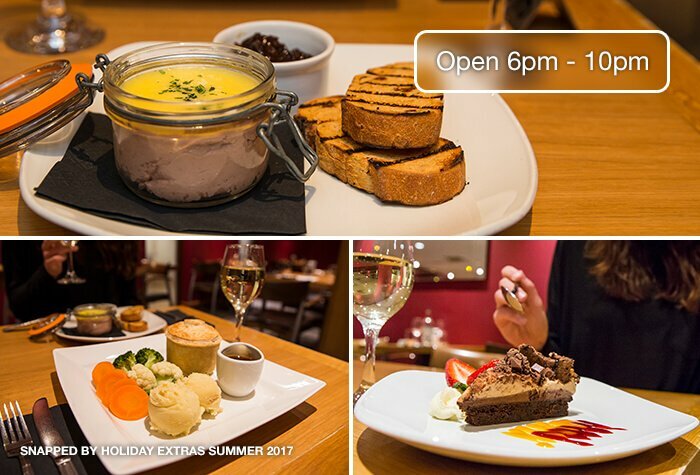 Even better, youll save an average of £7 per person when you pre-book three tasty courses from a set menu through us for £20. 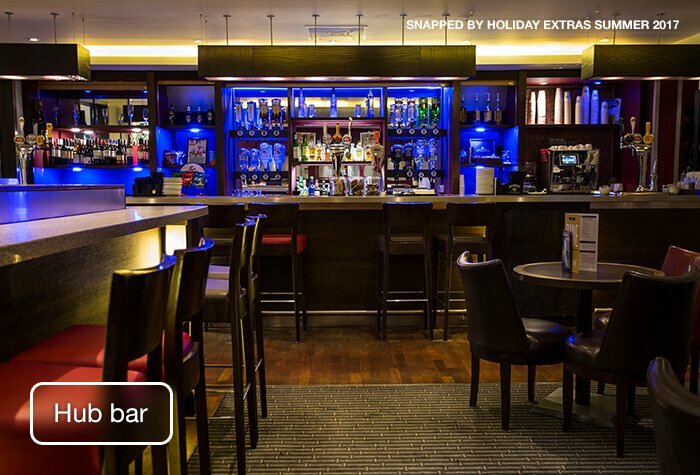 The Hub bar - serves light snacks including sandwiches and salads which cost around £8. Hot and soft drinks, beers, wine and spirits are available here too. Open 7am - 1am but food is only served until 11pm. 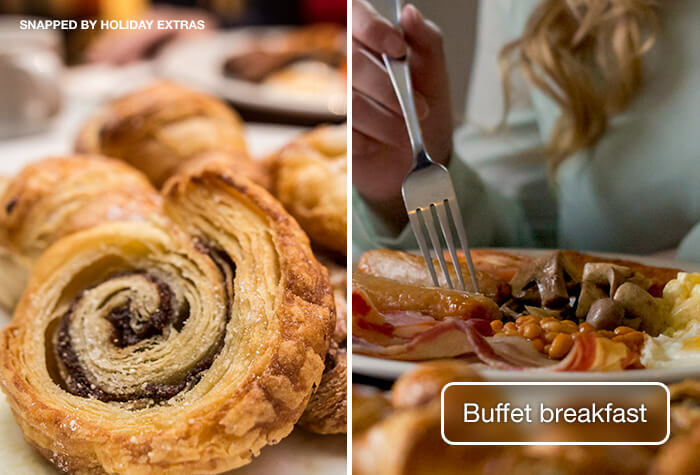 Breakfast is an English and continental buffet with all the cooked and cold staples. Its £15.95 per adult and free for two kids with each paying adult. 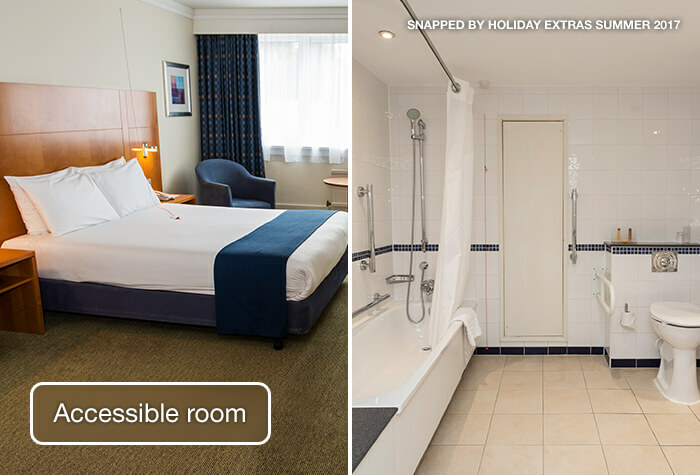 From just £15, you can upgrade to an Executive room on the next page and enjoy luxurious toiletries, a power shower, bottled water and chocolate. Disabled facilities The hotel has four accessible rooms.